George Harrison - Wonderwall Music 12"
Early pressing with "Mfd By Apple" on the sliced side perimeter. 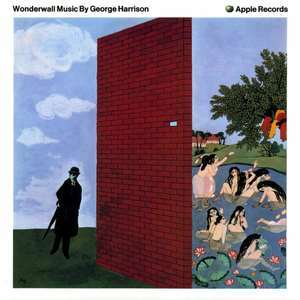 Soundtrack from the British film "Wonderwall". Included an insert with the album credits on it. This is the Jacksonville pressing, as identified by "O" in the run-outs. Recorded in India, December, 1967.